One of the biggest barriers small businesses face when it comes to marketing is budget restraints. You may have this amazing idea for a campaign to gain extra media attention. But suddenly it seems too extravagant and out of reach. Luckily there is a creative solution to this problem – guerrilla marketing. If you are willing to be flexible and take a little risk, guerrilla marketing is a strategy that can work really effectively. And it doesn’t require a big budget. Setting clear goals and objectives for the campaign is the best place to start when planning guerrilla marketing. You need to understand the ‘essence’ of your business and imagine possibilities from there. Understanding your target audience and what intrigues them is crucial to this process. Once you have established the basics, it’s time to get really creative. How many ways can you bring this idea to life? Imagine the headlines in the newspapers about your campaign. Picture the social conversation on Twitter about it. Visualise the photographs beside these conversations. What does it look like? What do you want it to say? Have people engaged with the campaign? The ultimate goal of guerrilla marketing is to gain media attention – so plan what kind of buzz you want to achieve! Whatever you do, do not contain your thinking to a single moment in time, or a single street stunt. Think big and think boldly. That’s how you will make your campaign authentic and memorable. If your audience is inspired to act because of your campaign, you know it has been a success. While there are no boundaries to the possibilities of your campaign, there are a few guidelines. Do not aim to upset, provoke negativity, or scare your audience. 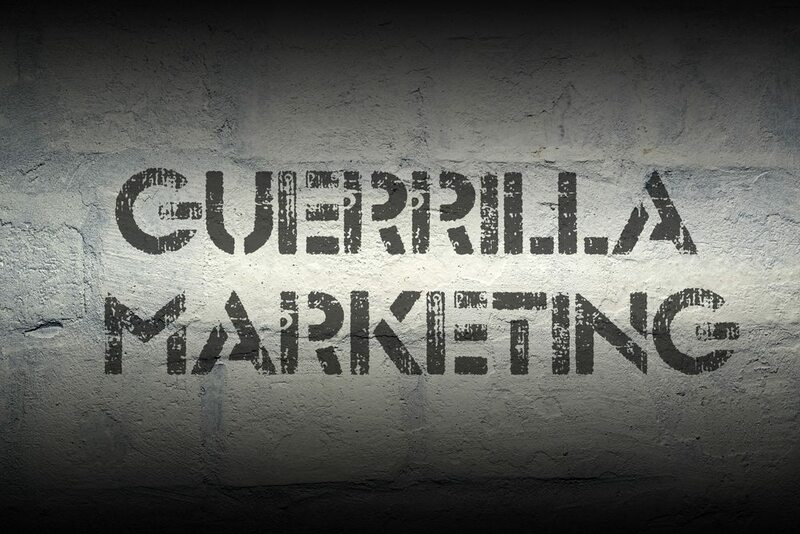 Guerrilla marketing is about implementing strategy people can embrace, and enjoy with friends. Bring people together to share the experience. Do not force them to run and hide. Be genuine. Do not come across as false, fake or bland. If you try to be something you’re not, then what business are you promoting? Do not be annoying. That will only agitate your audience. Do not send your team to prison. Unfortunately, this has happened before to organisations that didn’t plan their strategy thoroughly. Whilst creativity is encouraged, illegal activity such as damage to property (or even streaking) is not. Now it’s your turn to go bananas. When guerrilla marketing is done right, it becomes memorable and newsworthy for all of the right reasons. If your campaign strategy reflects the nature of your brand and customers, you will successfully ‘stand out from the crowd’ for all the right reasons. To find out more about this strategy, or to plan your next campaign, contact the friendly team at Chilli. We assure you there will be no monkey business.